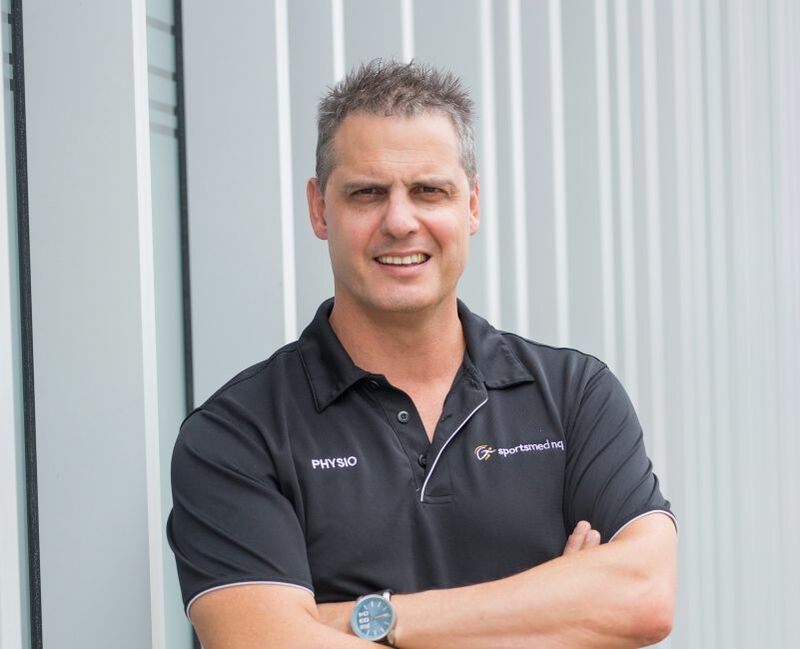 Paul started SportsMed NQ in Townsville in 1995. The business has grown from 1 physiotherapist to 3 locations across Townsville. 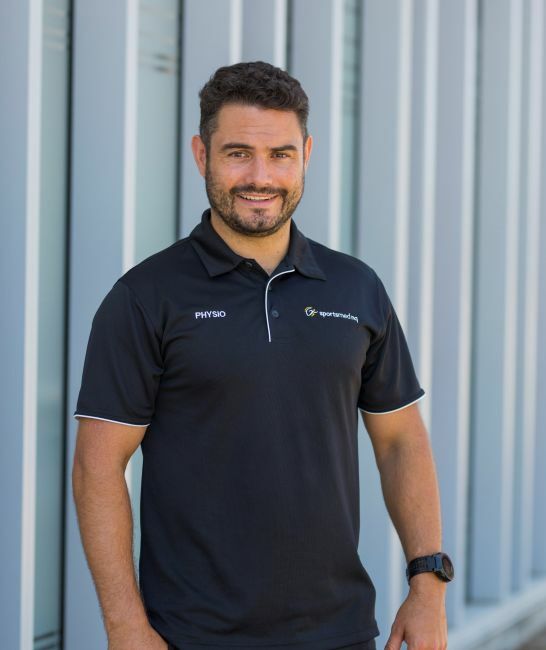 Paul enjoys working with a great group of physio’s, who continue to improve skills and knowledge to better serve Townsville clients. 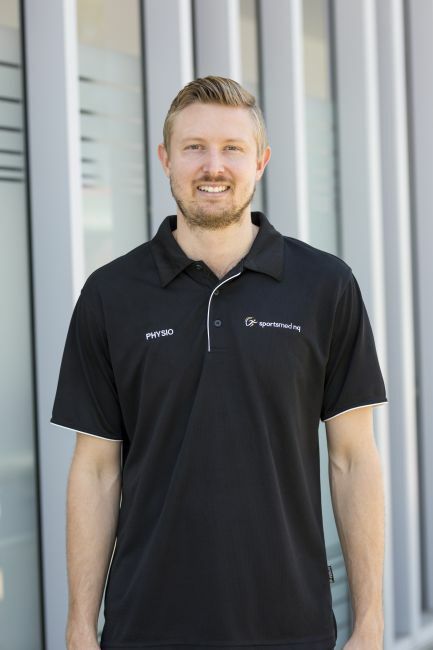 Paul has a strong interest in sports rehabilitation which is evident through his involvement with a number of different sporting organisations including: Junior Queensland Football, Townsville Fury A League Club from 2009 (currently acting as a consultant), and Townsville Crocodiles from 1998. Paul's specialty is working with post operative rehabilitation of the knee, shoulder and back, doing post operative clinics for several orthopaedic surgeons. He is also very passionate about real time ultrasound for muscle retraining for conservative rehabilitation of lumbar spine. Paul has shared his expertise in this area as a key note speaker at conferences in Malaysia and Sydney. And is also a regular guest speaker for Sports Medicine Australia conferences and Tropical Medical Training. Justine graduated from The Bachelor of Physiotherapy, James Cook University in 2008. She spent her first year out at The Townsville Hospital completing her rotations in medical/Surgical, Intensive Care and Musculoskeletal outpatients and fracture clinics. It was in her last rotation that Justine developed a love for musculoskeletal physiotherapy and soon moved to private practice. She spent several years working for Sportsmed NQ before giving birth to her little boy. 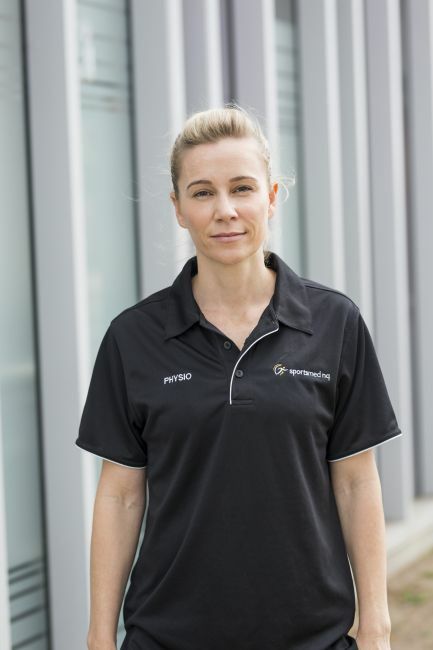 Justine retuned to physiotherapy within the Occupational Health area and enjoyed expanding her skills in pre-employment screening, return to work injury management and functional capacity assessments for the mining sector. 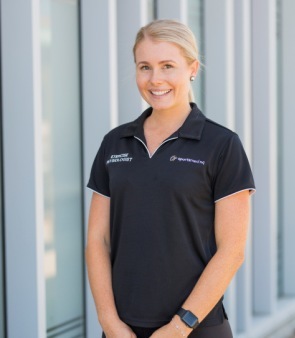 In the recent few years Justine has shifted her passion into clinical education and treatment of chronic and complex musculoskeletal conditions and continues to keep close ties with James Cook University by tutoring physiotherapy undergraduates. Justine has undertaken further studies in the Cervical spine, Western Acupuncture and Dry Needling, Occupational Health and Advanced Clinical Supervision. 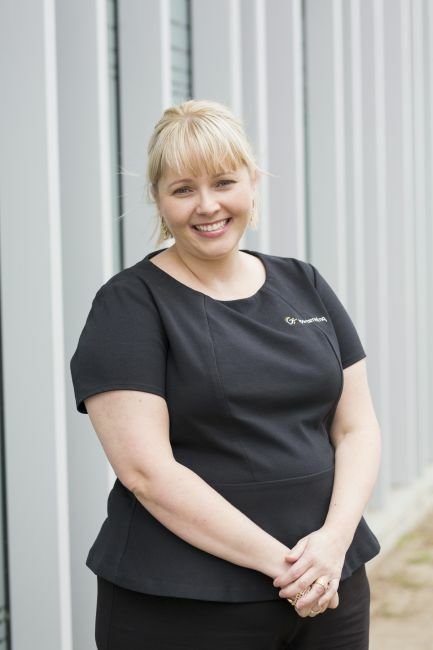 Justine works between both Park Haven and Northshore Clinics and has a passion for treating the Neck, Temporomandibular conditions, Chronic pain, Hydrotherapy, Occupational health and return to work injury management. Justine places emphasis on education and support of patients through their journey and enjoys helping them to explore alternative and different treatment options to optimise rehabilitation. Townsville has been home for Justine, however she has spent a few years in England travelling, visiting her family and exploring her English roots. She loves culture and loves listening to client’s stories, places travelled and life experiences good or bad. She does love a good chat! Max grew up on a small property in the Burdekin and after finishing his primary and secondary schooling in Ayr, he moved up the road to Townsville to study at James Cook University. Max graduated from JCU in 2008 with a Bachelor of Physiotherapy after completing practical work in Cairns, Darwin and Townsville. 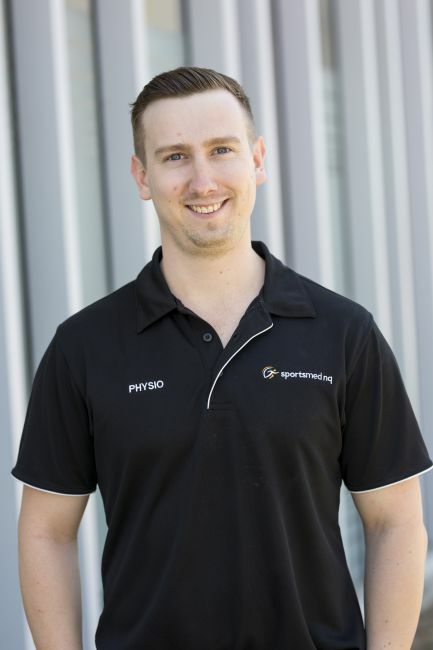 Max was employed at SportsMed NQ as a new graduate physio in 2009 and has been a valued member of the team ever since. Max’s main interest is sport, particularly basketball, which he has played from a young age and. has been fortunate enough to work with both the Townsville Crocodiles and Townsville Fire National Basketball teams. Max enjoys rehabilitating knees and ankles both which involve a lot of fun and exciting exercises in the gym, allowing him to be creative. Max also claims to do a “mean ITB release”…you have been warned! Tamara graduated from a Bachelor of Physiotherapy in 2008 with very high academic achievement. She has been a valued member of the Sports Med NQ team since December 2012. She has undertaken further studies in western acupuncture, advanced dry needling, Clinical Pilates, and Therapeutic Yoga. Tamara has a strong passion for Pilates, and instructs at least 8 hours of classes per week, and also undertakes Pilates herself to maintain good core stability, posture and flexibility. Tamara’s true passion is Dance Physiotherapy. She enjoys the challenge of working with clients who push their bodies to the extremes of flexibility, endurance and strength. Tamara has undertaken further studies in Physiotherapy for Dance with some of the best professionals in this area including the medical team from the Australian Ballet, and Lisa Howell, Physiotherapist from Perfect Form Physiotherapy. You can be assured that your assessment and treatment with Tamara will be delivered with compassion and the highest quality of care. Dance Physiotherapy, Clinical Pilates, dry needling (acupuncture), sports physiotherapy, post operative spinal rehabilitation, and core strengthening through Real Time Ultrasound. Member of IADMS which is an international group of dance professionals aiming to enhance the health, well-being, training and performance of dancers by cultivating educational, medical and scientific excellence. 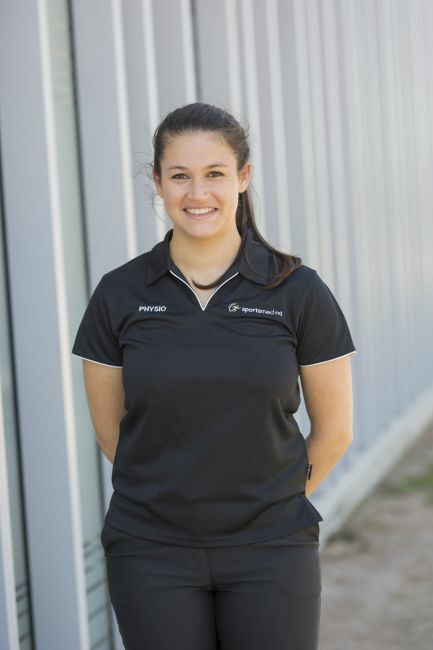 Monica is excited to join the SportsMed NQ team after a recent move from Canberra. 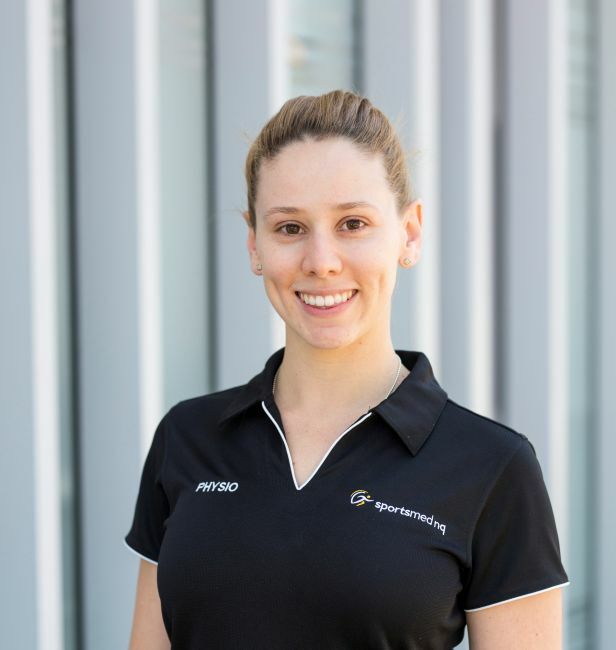 She completed a Bachelor of Sports Coaching and Exercise Science at the University of Canberra in 2012, which sparked an interest in physiotherapy. After moving interstate she graduated from the University of Sydney in 2015 with a Master of Physiotherapy. 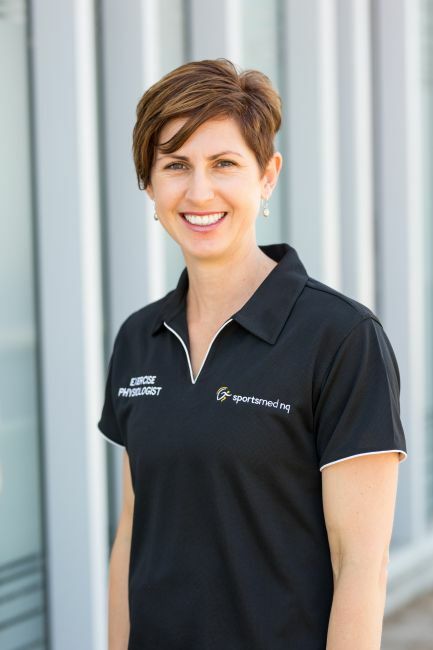 Monica has been working in private practice in Canberra ever since and has a particular interest in treating lower limb, sports and running injuries. She also has experience in teaching clinical pilates for the rehabilitation and prevention of a range of different injuries. Monica grew up on a netball court and played at a representative level for most of her schooling years. Her love of netball proved invaluable over the past 2 seasons in her role as the primary physiotherapist for a high performing netball district in the ACT State League competition. Monica was also part of a team of physiotherapists who travelled with the ACT Touch Football side for their national competition in 2017. Even though sporting competitions are exciting Monica still enjoys working with athletes of all sports, ages and abilities. In her spare time Monica enjoys an active lifestyle. She still loves a good game of netball or going running with her dog. As she is new to town she is also keen to get out and explore the sights and surrounds of Townsville. 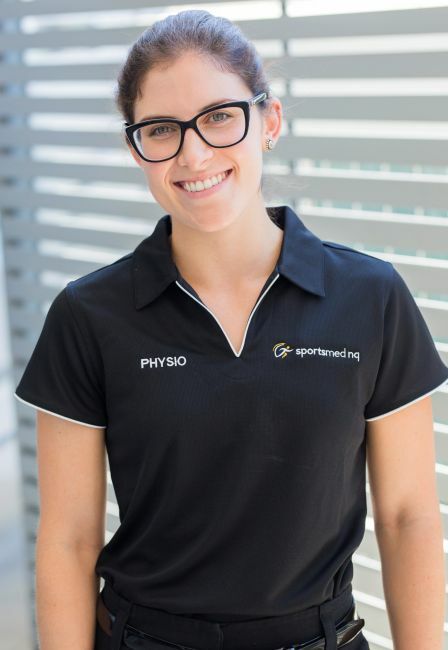 Tegan has been a part of the team at SportsMed NQ since 2009 working within the clinic between University studies and now practices full-time at the Bayswater Road clinic. 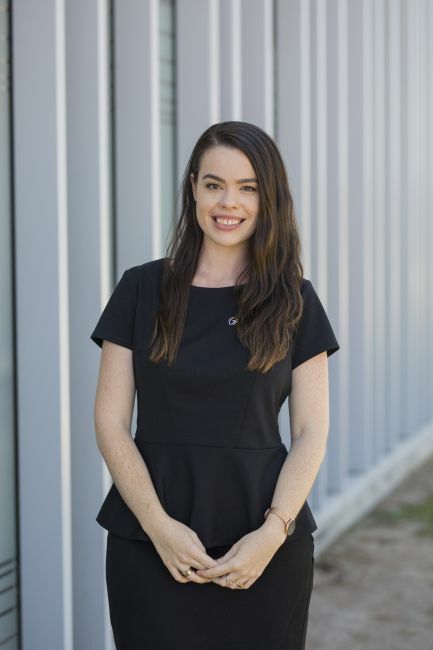 Being born and raised in Townsville, attending James Cook University was a natural choice and in 2013 Tegan graduated with a Bachelor of Physiotherapy. 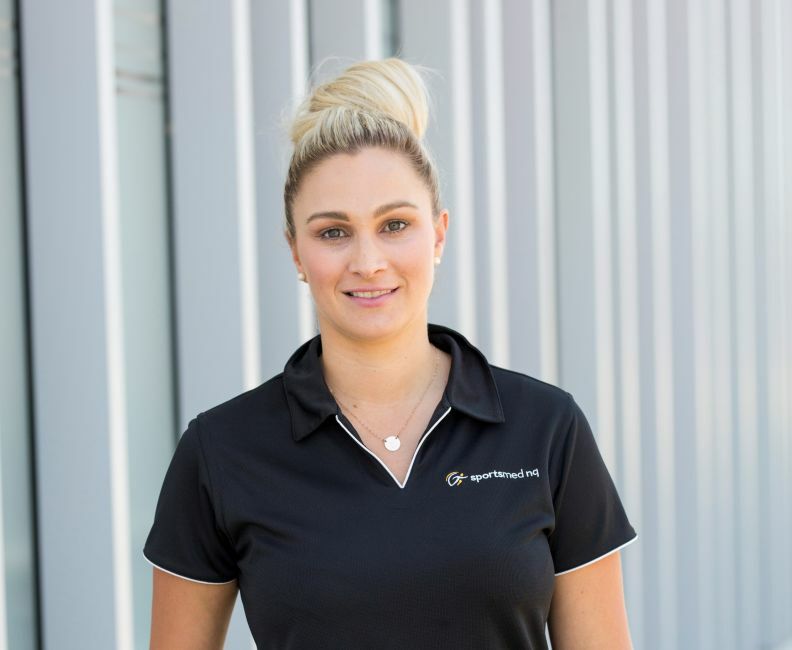 After experiencing physiotherapy work in a range of hospitals and clinics around Queensland, Tegan developed a keen interest in working within a private practice. Tegan completed her Australian Physiotherapy Association (APA) accredited Clinical Pilates Matwork Course, beginners and advanced, in 2012 and has since developed a passion for the use of Pilates-based exercise in the treatment and prevention of back pain. Outside of work, Tegan has a strong interest in health and fitness participating in a range of activities including gym-based exercise, running, outdoor-based exercise, Pilates and social and competitive touch football. Cynthia graduated from JCU in 2012 and developed a keen interest for musculoskeletal and orthopaedic physio. After graduation she jumped straight into private practice and has since worked in a variety of settings. 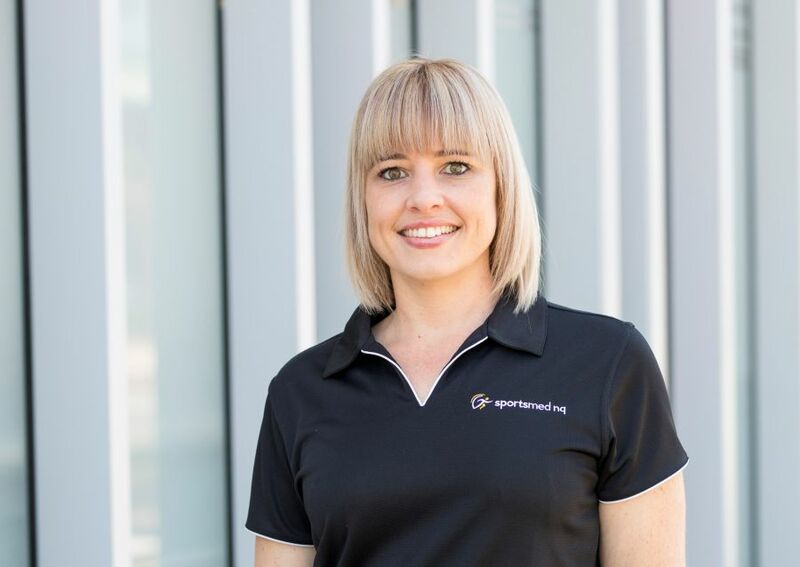 After eighteen months living and working in the United Kingdom Cynthia has returned to her hometown of Townsville and is excited to be back at Sportsmed NQ. Cynthia has a particular interest in treating lower limb and sporting injuries. She has undergone further education in Pilates and Western Dry needling. Outside of work Cynthia enjoys an active lifestyle that includes running and Crossfit and also has strong appreciation for the arts and good food! Cian’s experience ranges from managing athletes in elite rugby and soccer, to working in private practice and occupational medicine. With a broad background comes a diverse skill set and this allows him to help patients with an array of goals and backgrounds get back to optimum fitness. Through postgraduate training Cian specialises in the management of complex musculoskeletal disorders, which helps his clients get back to their sport, hobbies and lifestyles. His philosophy is work hard with you to set realistic goals and help you recover with expertise and knowledge. His favourite area is the shoulder, hip and knee injuries. In addition, he finds the complexity of foot and hand injuries to be of a particular interest. The overuse conditions in the lower limb, particularly around the pelvis and knee is of high interest to Cian. Achieving a great and lasting outcome for a patient is what Cian finds most satisfying. His passion for injury stems from picking up his first basic anatomy book as a junior high school student. From this moment Cian knew he was hooked. Tyler was born and raised in a small country town in northern Tasmania. He moved to Townsville five years ago to begin his university degree, challenging himself in a new environment and climate which was extremely hot! He fell in love Townsville instantly, even the heat…. now calling Townville his home. Since arriving in Townsville he has continued his passion for sport where he has represented the Townsville Eagles representative side in Australian Rules football on four occasions. He has also captained his local AFL club the University Hawks, winning their best and fairest award in season 2015. 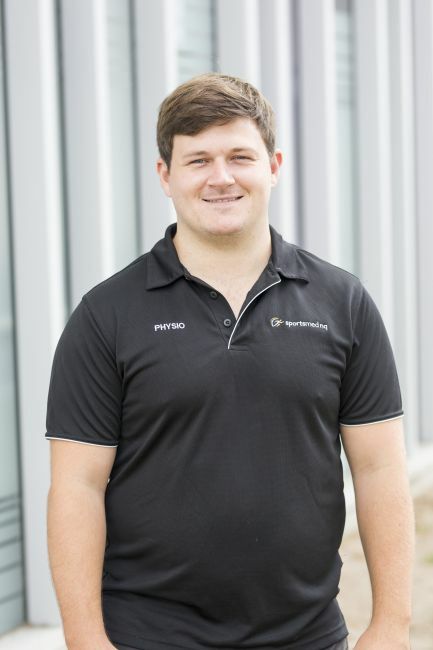 Tyler completed two musculoskeletal physiotherapy placements during his degree where he found helping people in a busy team environment extremely rewarding. 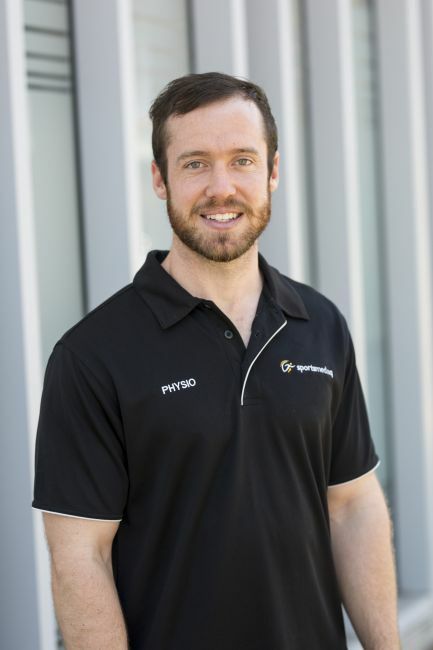 Along with sports physiotherapy he has a special interest in back and shoulder injuries and is keen to add more skills to his toolkit by enrolling in dry needling and palates courses this year. Tyler is a friendly down to earth young man that takes his work seriously, but also knows how to have a laugh. He is looking forward to working closely with his patients so as they can have the best outcomes over a lifetime. 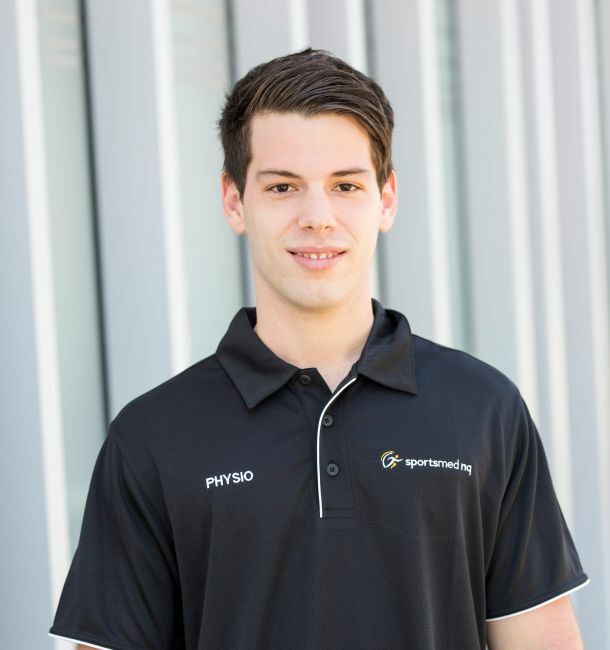 Joshua’s physiotherapy experience ranges from private practices to musculoskeletal and sports injuries. In addition he has helped clients rehabilitate post orthopedic surgery. Josh specialises in the neck, shoulder region, hips and knees - however he enjoys treating all regions of the body. Dry needling is a key skill he applies after completing several courses to further his expertise. He’s also completing a Level 2 in Sports Physiotherapy. His favourite challenge is tackling complex neck and shoulder injuries due to the diverse and frequent number of injuries that occur in that area. Callum graduated with a Bachelor of Physiotherapy from JCU in 2010. He has recently returned to Townsville from an 18 month working/travelling stint in the UK. His professional interests include general musculoskeletal injury management, whether it is post-operative, sport related or a long term chronic injury. In his free time he enjoys heading out to the reef, mountain biking, four wheel driving and just about any other outdoor activity. Kim is local, born and raised in Townsville. She has recently completed a Bachelor degree in Physiotherapy at from James Cook University in 2015, graduating with an academic medal! 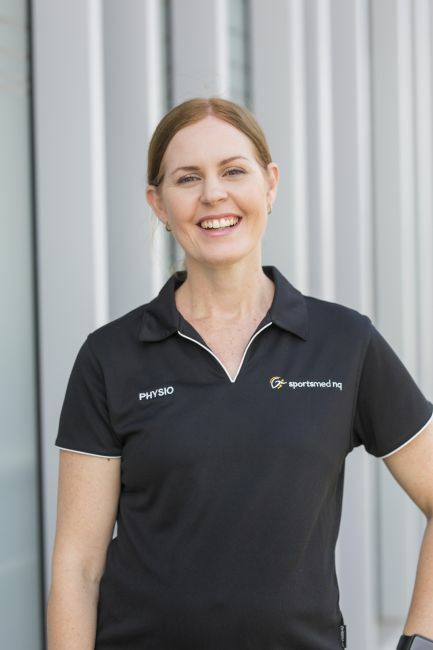 Kim has a keen interest in health and wellbeing, and the desire to assist people to better their health was the driving force to Kim pursuing a career in physiotherapy. Following clinical placements, Kim maintained a strong interest in musculoskeletal practice. Key areas of interest are women’s health, paediatric physiotherapy, preventative health care and chronic pain. These interests emerged during Kim’s pregnancy and care of her child, and following her own extensive rehabilitating following a motorcycle accident, along with observing family and friends go through health challenges that may have been preventable with appropriate advice, guidance and self-management. Currently, Kim has completed two courses in clinical Pilates and has a Sports Trainer Level 1 certificate. She is committed to furthering her education in areas of interest by keeping up to date with current research, completing short courses and postgraduate study in the future. Kim is fluent in sign language and is excited to be able to offer more accessible services to the Townsville deaf community. In her spare time, Kim enjoys spending time with her young family, going to the gym and cycling. 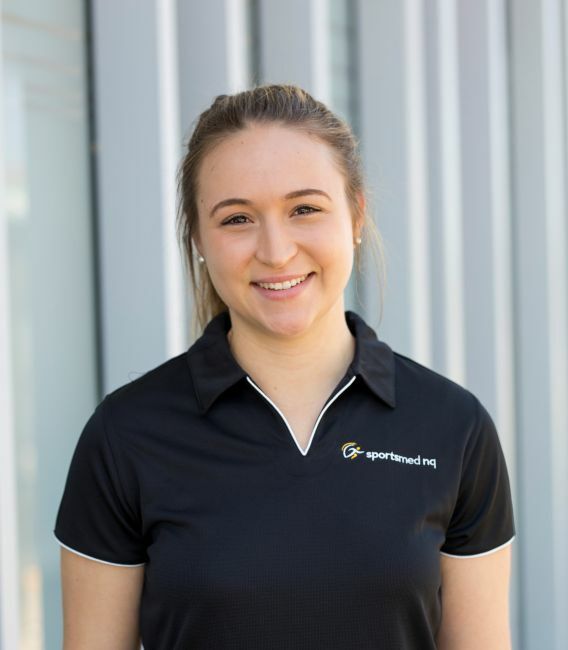 Kim is very excited to be joining the SportsMed NQ Team and is enthusiastic about beginning her career as a physiotherapist. Shannon’s passion for sports and the outdoors led her to study a Bachelor of Physiotherapy. Her favourite areas of expertise are general musculoskeletal injury management - acute or chronic, sport-related or post-operative. Having completed further education in clinical pilates, Shannon is a passionate about improving her patients overall health and wellbeing. 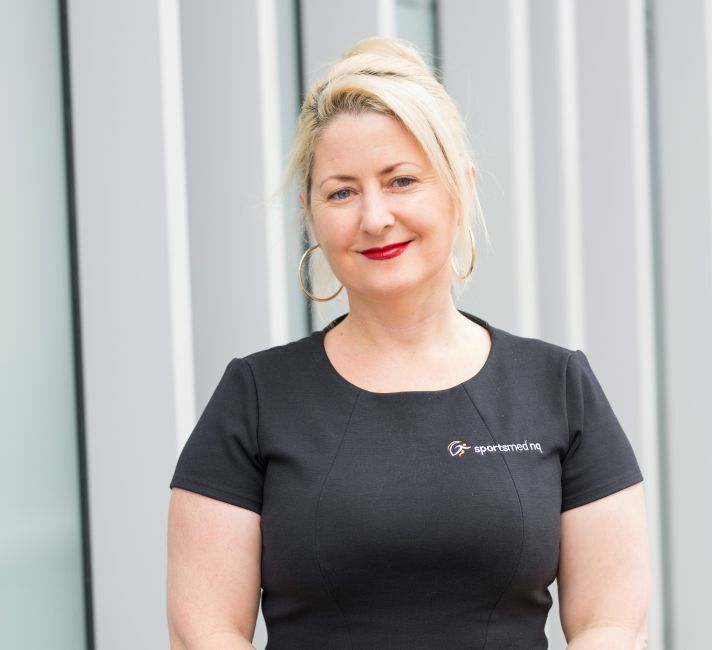 Sarah completed a Bachelor of Applied Science (Human Movement Studies) at RMIT Melbourne in 1995 and commenced her career in orthopaedic, cardiothoracic and spinal post operative rehabilitation assisting the Physiotherapy team. 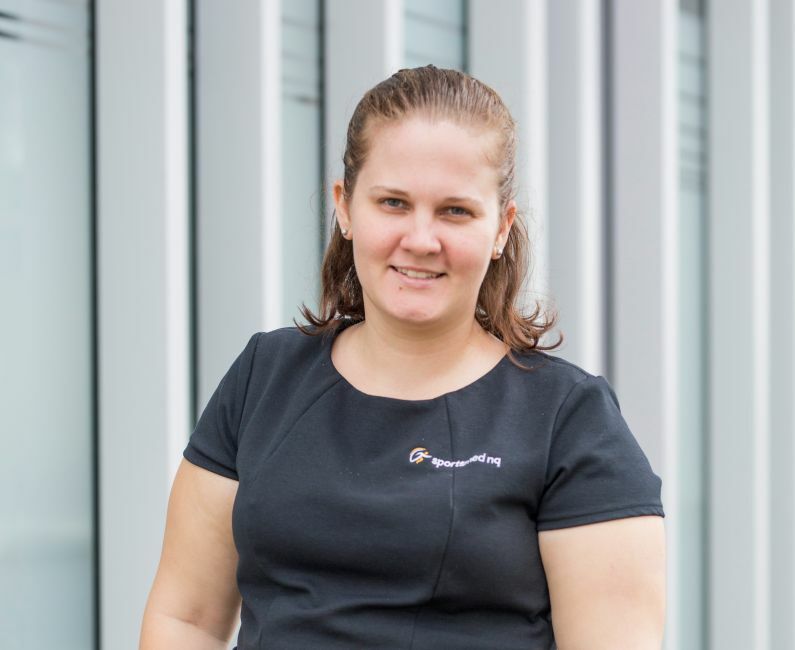 Sarah decided to return to her home town of Townsville for the warmer weather , taking a position with WorkCover QLD as a rehabilitation and return to work Case Manager. In 2000 Sarah established her own business providing occupational rehabilitation, physical reconditioning, chronic disease management & injury prevention services to clients until 2004. During this period Sarahs’ experience included providing exercise prescription and health prevention services for the Mater Hospital within the Cardiac and PTSD units. Sarah has a good family/work balance and feels blessed to have plenty of quality time with her husband, two boys and friends doing the things they love; such as camping, walking along our beautiful Strand and just hanging out with no agenda. 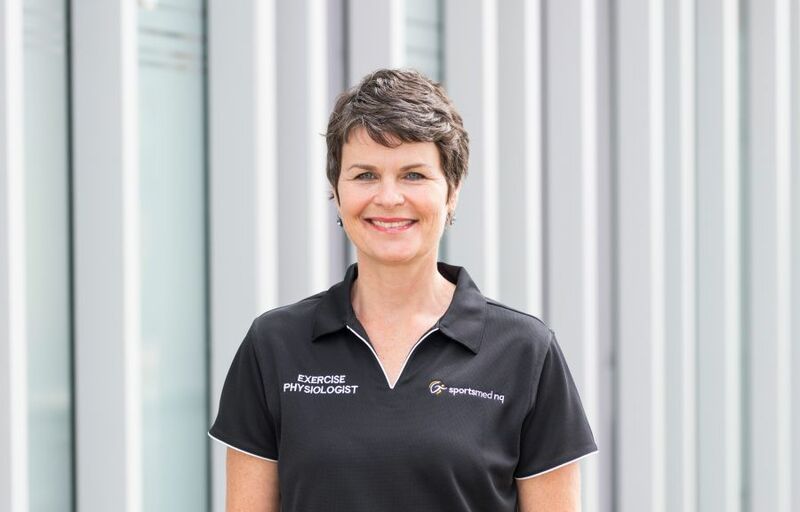 Linda graduated from Queensland University of Technology in Brisbane in 2009 and from there she relocated to Townsville to begin her career as an Accredited Exercise Physiologist (AEP). Linda gained 12 months experience working in chronic disease management before joining the SportsMed NQ team in 2010. Once here at SportsMed NQ Linda developed the communicative skills used to help educate her patients in the safest and most effective way to incorporate physical activity into their lifestyles. Linda also enjoys being able to assist patients to achieve the mobility and physical goals they are striving for. Linda has become accredited as both a Pilates matwork and Bounce Back instructor, where she can explore her passion for group exercise instruction. Linda has also gained invaluable skills as a hydrotherapy instructor, where she has developed a great respect for the physical properties of water and the enormous benefits water can play in physical rehabilitation. This passion has now lead Linda to also presenting as a guest lecturer at James Cook University. Linda gets great job satisfaction in assisting her patients from crippling physical disabilities to return to work and/or sporting goals, or simply improving mobility. With a young family of her own she is enjoying the challenges of parenthood and is finding creative ways to fit physical activity into her lifestyle. Linda and her family enjoy walking up castle hill, the strand and making backyard activities energetic and beneficial for the whole family. Linda is currently working from our Parkhaven Clinic every second Saturday morning. Darci has been practicing for 2 years now and loves helping people work through injuries, chronic disease and lifestyle changes to live a happier and healthier life. In her spare time she enjoys being active, exploring this beautiful world and hunting down great coffee! 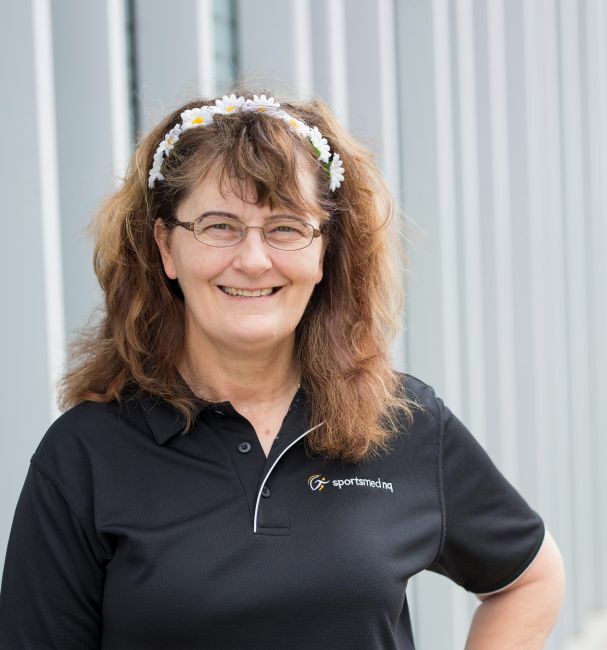 As one of Sportsmed NQ’s sought after remedial massage therapists; Christine specialises in fascia treatment and Deep tissue, Reflexology, trigger point therapy, sports massage and much more. Her skills are designed to help you with pain, discomfort and lack of movement, which is what she finds most rewarding. Helping people gain a full range of movement and walk out with a reduction in pain is the reason Christine is passionate about her job. Cyndee has been with us for nearly 5 years working as Paul Parker's Personal Assistant. She was born & raised in Townsville. In her spare time she enjoys walking her dog and drinking wine! 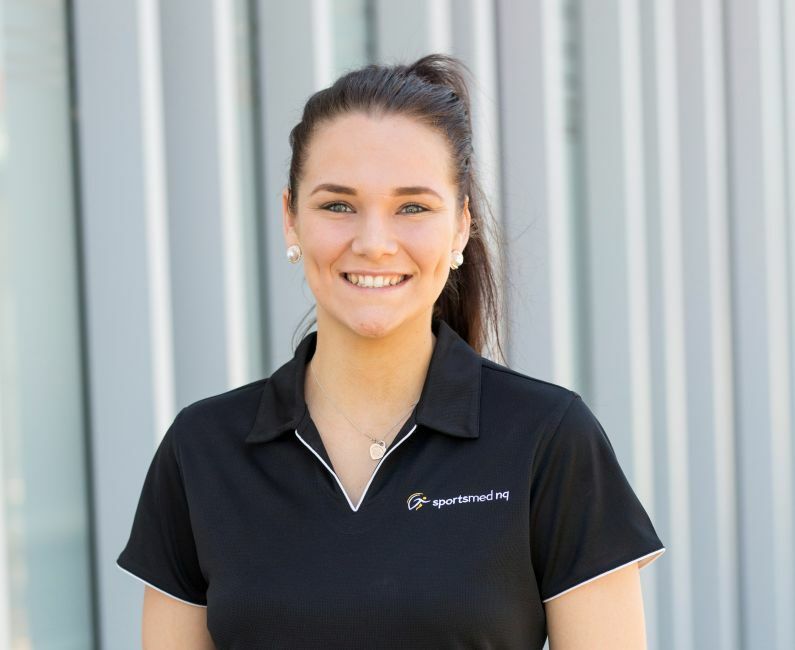 Casey has been with Sportsmed NQ for just over 6 months. She moved here from Perth in Western Australia for a sea change. She enjoys exercising, the beach and spending time with her partner and dogs. Anita has worked as a Receptionist with Sportsmed for over 9 years now. She was born and bred in Townsville, lived in Brisbane for a brief time but came back home. She enjoys going to the gym, spending time with family and catching up with friends as well as enjoying a good bottle of red. Kristen may not be a born and bred local, but for the past 13 years she has called Townsville home. She considers herself a ‘country kid’ at heart, having lived in many different rural mining towns prior to her finishing school. Since meeting her husband and purchasing their first home, she can’t see herself living anywhere other than this ‘big country town’. After finishing school, she jumped head first into a university degree in Bachelor of Education. It wasn’t until 2.5 years down the track she made the hard decision to change her career path. A TAFE degree in Assistant in Nursing and a few hospitality jobs later, she fell into a job as receptionist at a Medical Centre. It was here that she truly felt she had found her calling and started to hone her “phone voice” that she is known so fondly for today. 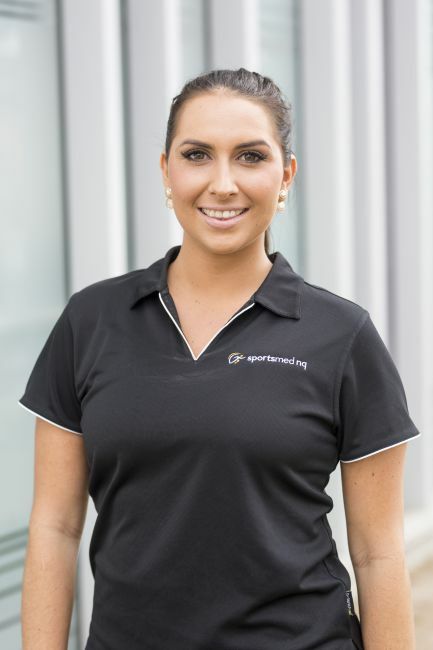 In 2013 Kristen commenced work at SportsMed NQ Physio as a receptionist, working at both our Hyde Park and North Shore clinics. Recently, she has been welcomed back to our team after nearly 1 year of maternity leave. She misses her little girl, but feels at home working with the staff and patient’s that she considers her family. Jess has been with Sportsmed NQ just shy of 12 months. Jess comes from a very close-knit family and almost all of her immediate and extended family are located in Townsville. Outside of work she loves to cook and bake as well as spending time out with her human and fur baby. 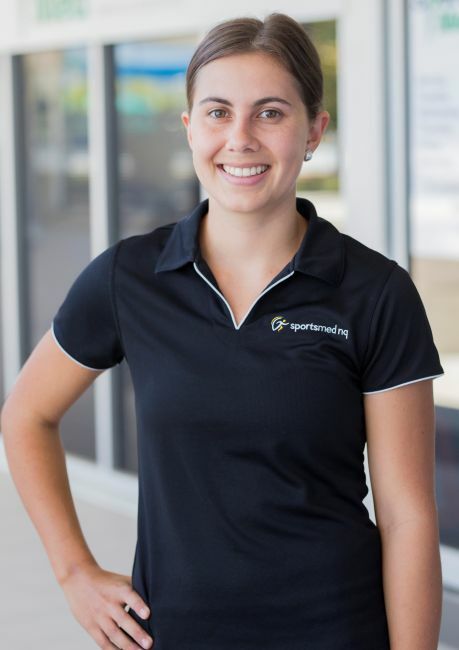 Cassie commenced heremployment at Sportsmed NQ in 2016. Cassie was born and raised in Townsville and has many friends and family that live here also. She believes Townsville is a beautiful town to live in and she doesn't see herself leaving any time soon. She is currently studying a Bachelor of Nursing Science at James Cook University. Outside of studying and work life she enjoys spending time with family and friends. She also enjoys playing sports such as touch football, going to the beach and exploring our little town and all it has to offer.